My new title "New Angie Tangerine's Hairstyle of the 2017 Year" hooray! Its been a while since I last colored my hair 6 years ago. 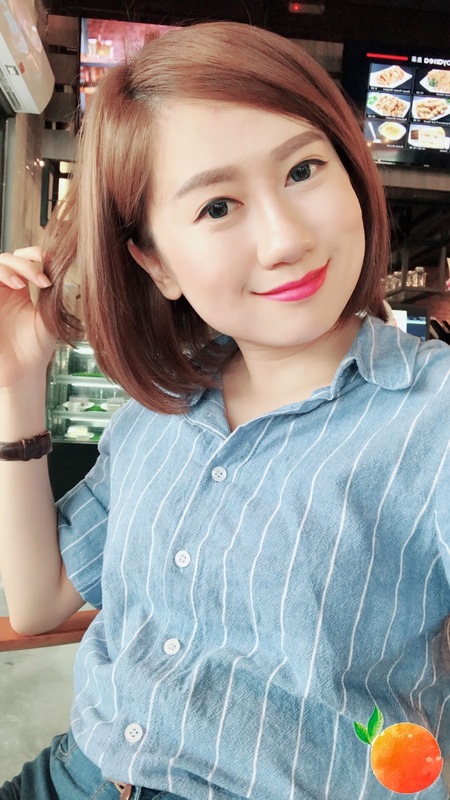 Right now I am showing off my new hair color I did at AM & PM Hair Studio Bandar Bukit Raja. 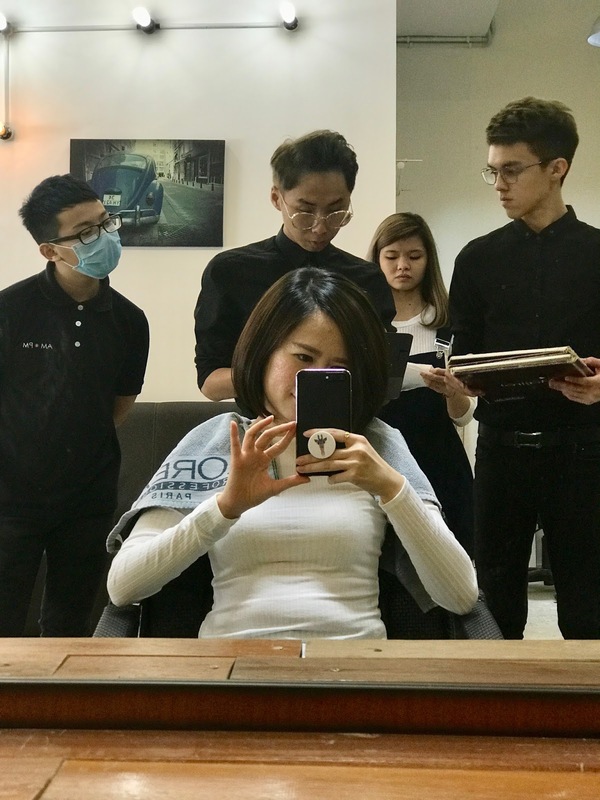 This is my very first time reviewing this hair salon and thanks to HOYU means “好友” (Best Friend) giving me the opportunity to share their experience and skills on me about this innovative technologies and products. Oh gosh, I am terrifying people with this face. LOL! Check out HOYU Promaster AD below here. Beside earning the largest market share in Japan, but there are also one of the leading hair color provider and hair care products in more than 70 countries. 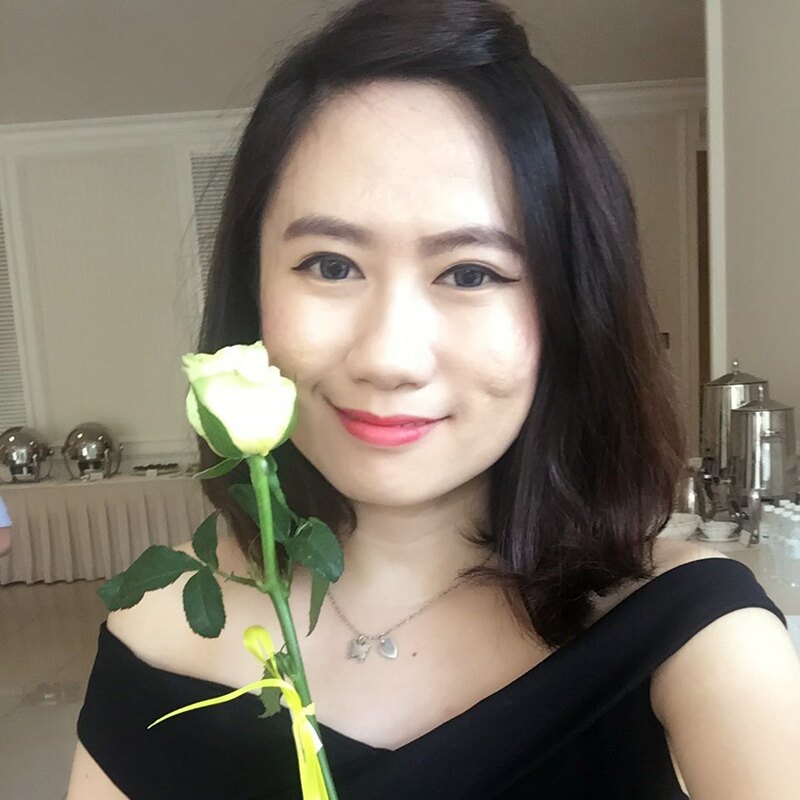 As an ambassador of the joys of hair coloring, Hoyu’s slogan “COLOR YOUR HEART” expresses their desire to add dimension to people’s lives through an extensive line of innovative hair color and hair care products. Okay, its time to show off my hair color to you. Don't blink too much, open your eyes and look at me. LOL! 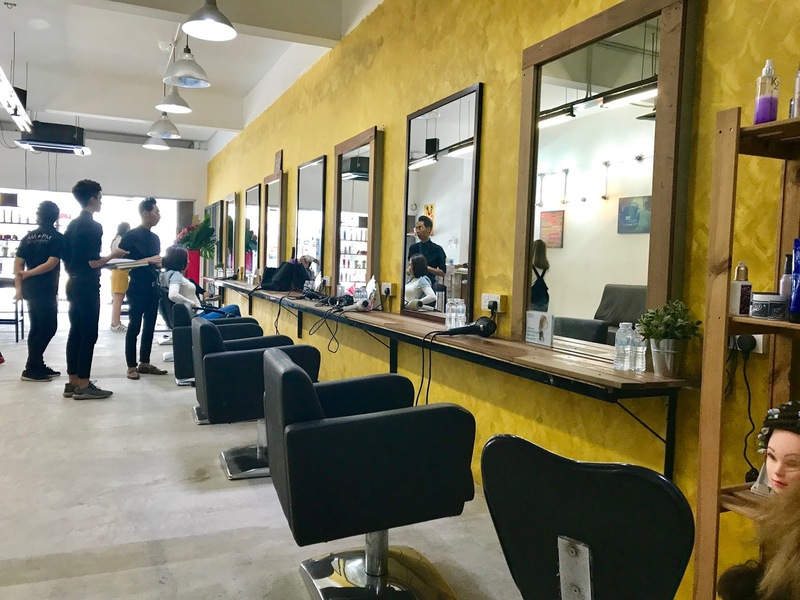 First of all, congrats to AM & PM hair studio for their third outlets opening at Bandar Bukit Raja (nearby Setia Alam). Upon arrival, there are plenty of parking here. So, you don't have to worry finding parking there. I am welcomed by Dannis Boo (Creative Director) and his assistant Steven Chong (Senior Hair Stylist). Actually, I have no idea what color I prefer but thanks to Dannis Boo for the great advise and chose the color that suit me. My hair dyed was done by Dannis Boo and Steven Chong and you can see from the photo there no bleaching required because my scalp is not that healthy. Promaster color has a very intense PURE color tone in each and every color tube that suits for Asian’s hair. This means that the color can be much more long lasting as compare to the ordinary color. Beside that, both of the professional hairstylists are friendly and very gentle when taking care & treating my hair. 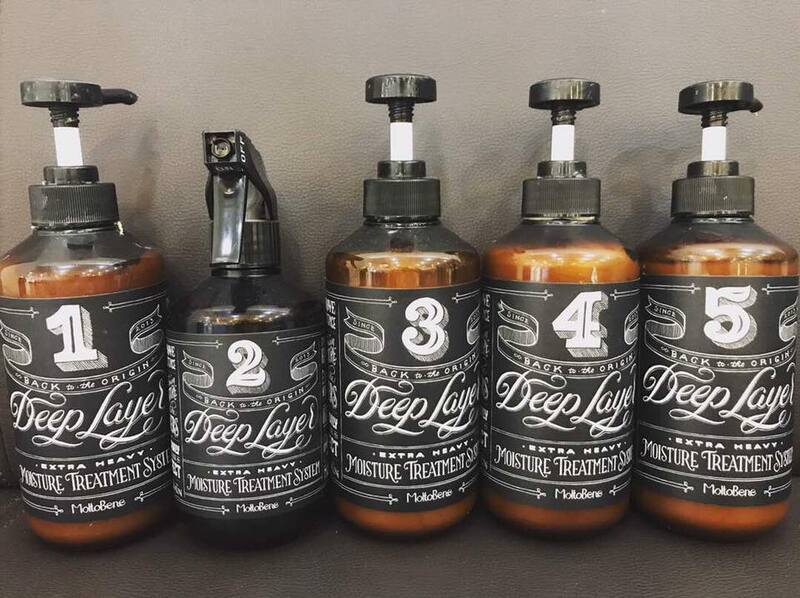 After coloring my hair & hair wash, the next treatment used Deep Layer 5-Step Moisture Treatment. It delivers effective repair on damaged hair as well as provides ultimate softness and moisture the hair. Okay, time to steam my hair. Can't wait to see my result. When the hair stylist rinse my hair after application, I can feel the hair is not tangling at all. Soft and smooth. 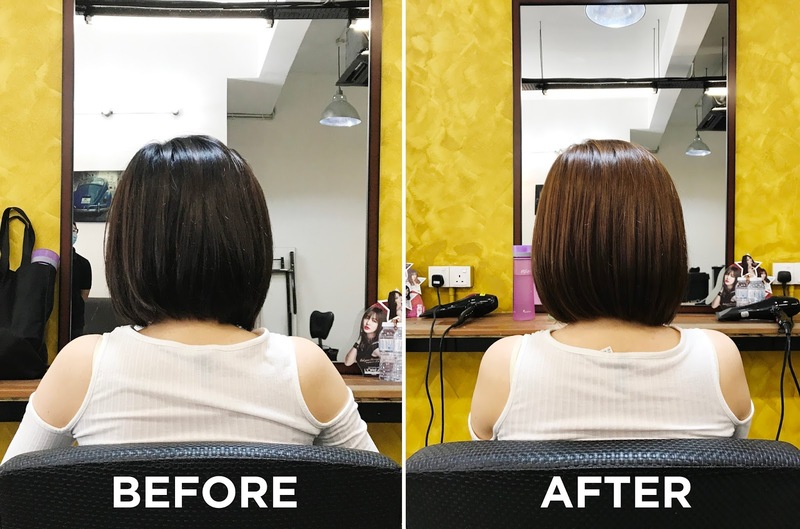 See the before and after result, the hairstylist dries my hair without doing any styling. And I'm totally surprised by the amazing result! I can't believe my hair can become instantly smooth and soft and also nice brownish hair color that suit me well. I am superb happy with my hair color makeover and hair treatment. Definitely satisfy and thank you. If you want to look like me, oh not me is my hair... please call to enquire as different hair length is different pricing. 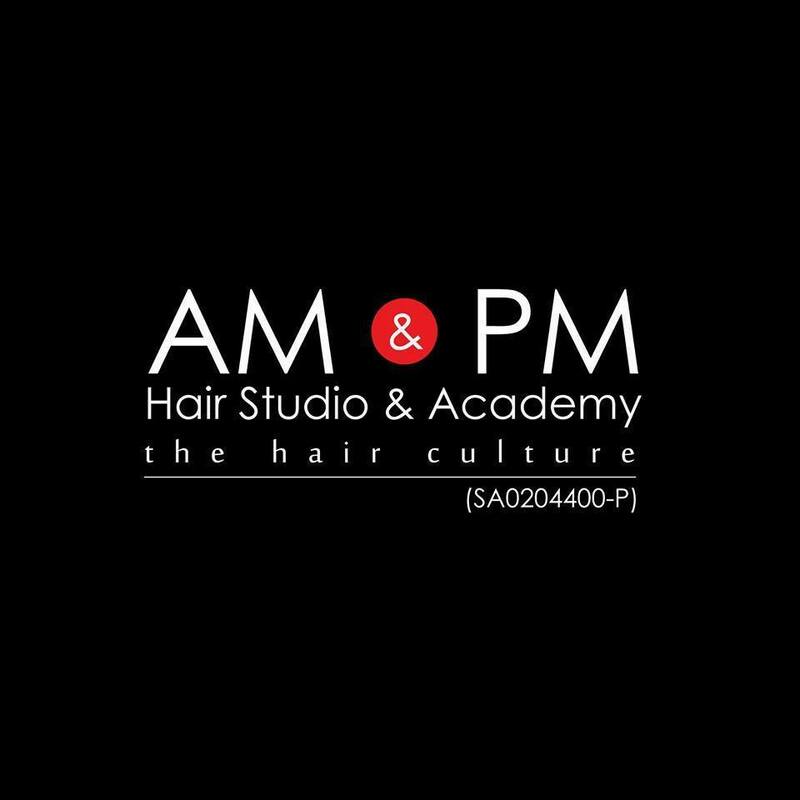 For more info do checkout your nearest AM & PM hair salons' outlets and FB page down here.